Alison Can Read: Guest Post - My Three Books: Re-imagining "Jane Eyre"
Guest Post - My Three Books: Re-imagining "Jane Eyre"
*While I'm making my way from the hot California sun to Montana big skies, I've lined up some fabulous guest posters. Please welcome Charlene of Bookish Whimsey! With the current trend towards "greying" up the classics, Jane Eyre by Charlotte Brontë has been in the news lately as a more spicy retelling is due to come out. The original novel of course is beautifully full of understated sexual tension, but the story is more than that. Jane has a harsh unforgiving childhood, and many trials and tribulations to undergo before she emerges triumphant with independence and love on her own terms. The story has a strong, conscientious heroine and plenty of mystery and dark secrets to go along with the passionate romance. And many other authors have found a way to reimagine Jane Eyre without making Miss Eyre blush. A modern retelling of Jane Eyre, Jane is a nanny instead of a governess, and instead of a landowner and member of the gentry, the Rochester equivalent - Nico Rathburn - is a rock star. Class status is one of the obstacles that stand between Jane and Rochester in the novel, and April Lindner has the fantastic idea of making celebrity, the new class status, keep her Jane and Nico at a distance. The will-they-or-won't-they sexual tension is kept high because Jane is far too practical and intelligent to think her famous and worldly employer would fall in love with her, when he could have any girl. Right? Thankfully no, but Nico of course has an important secret that will keep them apart (for a little while). Jane is a cute and fluffy update of the classic story for a young adult audience, while also adding the interest of a glamorous rock star lifestyle. What if you could step into the pages of Jane Eyre and live out her story? This novel gives that experience to lucky Emma Townsend who ends up making her own story-altering decisions when dealing with the characters in Jane Eyre. Her experience in the novel parallels her own real-life experiences falling in love for the first time and also helps her work through family secrets she had never known about. 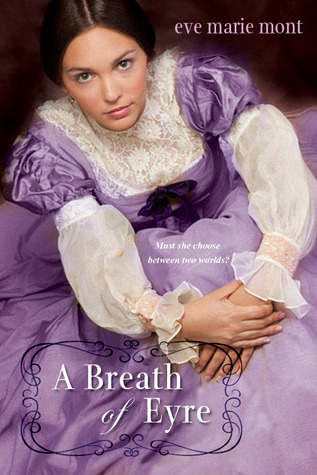 A Breath of Eyre is a distinctive take on the original novel, with a different viewpoint on Rochester and Bertha, and a heroine in Emma who is perhaps more relatable to modern readers. This novel ups the ante with the mystery and dark secrets while also adding a paranormal twist. Jane Williams is similar to Jane Eyre, but this novel is not a direct retelling of the original novel. Instead it pays homage to Jane Eyre by incorporating a few reminiscent scenes and having another strong and independent, although flawed, heroine. Like Jane Eyre as well, the story is Gothic, incorporating elements of horror and romance, especially when it comes to the engimatic Radcliffe family, who run the school Jane attends. There are many twists and turns and surprising secrets in this story that does justice to the intricate story-telling so well employed by Charlotte Brontë in her novel. Thank you Alison for this opportunity to blog about these three books! I believe my ideal novel weaves in romance, mystery and suspense, so every book that retells my favorite novel Jane Eyre has a chance of becoming my new favorite book. I review a wide range of genres on my blog though - Bookish Whimsy - including fantasy, science fiction, and young adult, sometimes horror and anything to do with fairy tales and mythology. I'd love it if you would visit my blog and I hope you have enjoyed reading this post! This is such a fun idea for guest posts, I'm glad I was able to contribute! Thank you Alison! And I look forward to reading all the future 3 books posts! Love this post! There was one book there I hadn't heard of and now adding to my list! 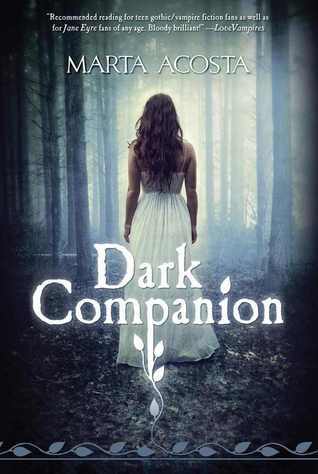 Oh, I didn't know Dark Companion was a Jane Eyre-type book! Great post idea--there are so many books out there "inspired" by classics and fairy tales, this is definitely something that could be continued. I haven't read any of these novel but I do have "Jane" sitting on my bookshelf waiting for me. I also had no idea that Dark Companion was loosely based on Jane Eyre - so thank you for that news! :D I am definitely inerested in all of these re-tellings and feel like a few classic re-readings are in order just to keep up with them all! I read Jane last year and loved it. I love Jane Austen so I will take the chance to read the other books as well. I also didn't know that Dark Companion has a lot of Jane Eyre-esque in the book. 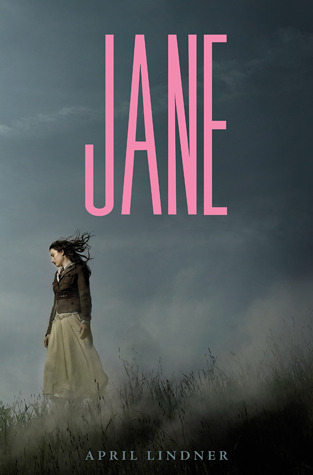 I really enjoyed "Jane" and it really made me appreciate the original novel much more. Jane Eyre is my favorite book of all time. I have reread it too many times. So thank you so much for offering recommendations for these Jane Eyre inspired books or retellings! Great guest post! I haven't read Jane Eyre but I do want to give the first retelling in your post a try. Although Jane Eyre was not my favorite, I do enjoy reading about Charlotte Bronte. I want to read Jane by April Lindner soon!